The course will provide an understanding of Russian culture and history from 1920 – 1940 through the lens of Russian literature, film, and art. We will read Mikhail Bulgakov’s novella “Heart of a Dog” and his novel The Master and Margarita; Evgeny Zamyatin’s We; and Yury Olesha’s Envy. We will discuss the films Heart of A Dog by Vladimir Bortko; Dziga Vertov’s Man With a Movie Camera; and Nikita Mikhalkov’s Burnt by the Sun. We will focus on close textual analysis of the literary works, and hold in-depth discussions about history, art, and film, supplemented by biographical, historical, cultural, economic, and critical information related to the works and their creators. The class will consist of several parts; a lecture by the teacher, student presentations, and informal group discussion. What was life like in the Soviet Union in the 1920s and 1930s? How did the communal apartments affect life in the cities? What were other Soviet social and economic experiments? What was the Stalin terror and why did it happen? What is Russia’s totalitarian heritage? What went well in the country? How do artists respond to and shape historical events? 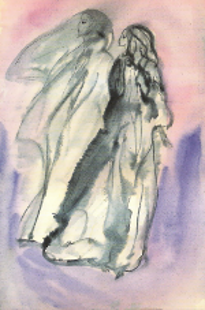 How did writers in the early 20th Russia transmute fear, violence, and chaos into art? How do utopian ideas and dreams transform into reality? Our main writer will be Mikhail Bulgakov (1891-1940). Playwright and novelist Mikhail Bulgakov is now widely acknowledged as a giant of 20th century Russian literature, ranking with Pasternak, Solzhenitsyn, Mandelstam, Akhmatova, and Brodsky. His story, though, is particularly unusual, for he was scarcely published at all in his own lifetime, either in Russia or in the West. His plays reached the stage in his home country only with great difficulty. His novella Heart of a Dog is hilarious and brilliantly inventive, but at the same time serves as biting political allegory. We will explore its ferocious satire, which is as timely as when it first was written. Zamyatin’s We is the first modernist novel in Russia, which could be published in the Soviet Union only in 1988 for the first time. It is set in a future society run on mathematical principles where reason and logic are dominant. Yury Olesha’s Envy is a humorous look at the individual’s struggle with an increasingly industrialized society. Vladimir Nabokov considered Envy to be the best novel written in Soviet Russia. Together we will analyze the difficult modernist features of this novel, including its shifting narrators and fluid boundaries between dream and reality. Bulgakov’s masterpiece, The Master and Margarita, was written in the 1930s in complete secrecy. Finally published in 1967, it took the Russian public by storm and has since become a world-wide bestseller. The novel is an extraordinary blend of comic satire, set in the Moscow of the 1930s, with a profound and intense retelling of the encounter between Christ and Pontius Pilate. The puzzling plot includes an elegant Devil who is working for the forces of good, a love story, and an account of the artistic integrity of its writer-hero, the Master. Together we will address important questions: Why do we read Bulgakov and what makes his satire so unsettling even nowadays? How should we understand and interpret his fiction? What is the nature of his art, and how does it influence other writers? I will introduce the participants to some of Bulgakov’s letters and diaries that provide a context for his literary career during one of the most turbulent periods in Russian history. 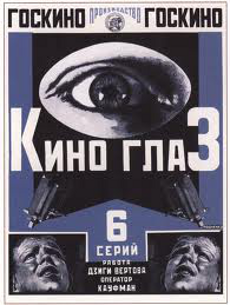 Vladimir Lenin made a famous remark that “of all arts, for us cinema is the most important,” and movie attendance in the Soviet Union was until recently among the highest in the world. 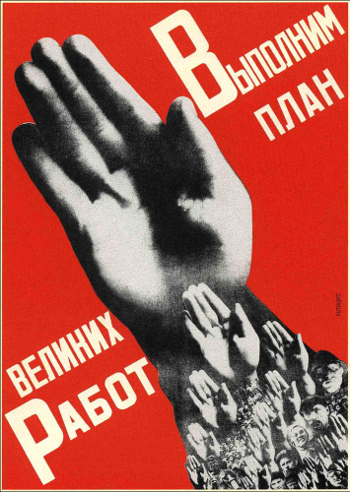 Cinema’s central position in Russian and Soviet cultural history and its unique combination of mass medium, art form, and entertainment industry have made it a continuing battlefield for conflicts of broad ideological and artistic significance. In this course, we will examine Russian and Soviet film in the context of Russian and Soviet history. We will see how it began as a fragile but effective tool to gain support among the overwhelmingly illiterate people during the Civil war that followed the October Revolution in 1917, developed into a mass weapon of propaganda, and then, through experimentation, further developed a form of entertainment that shaped the public image of the Soviet Union. 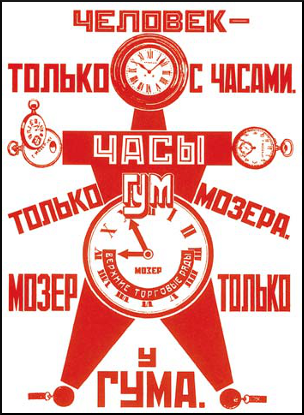 Dziga Vertov’s documentary Man with a Movie Camera, an experimental silent film with no story, no inter-titles, and no actors, will help the students to visualize and to discuss the revolutionary utopian visions and the actual experiments in life in Soviet Russia in the 1920s. I will use my Russian background to offer participants a unique opportunity to appreciate some of the pleasures of the original Russian versions of the works that are inevitably lost in any translation. It is my goal to provide an atmosphere that encourages many questions and observations. Registration: The final date for registration is December 31. 2014. Class Time and Format: Classes for the fall/winter semester will begin on January 13, 2015 and end on April 21, 2015. The class will meet once a week for fourteen weeks from 12:30 pm to 2:00 pm CT on Tuesdays. Classes will consist of a 20 to 30 minute lecture, students’ presentations, and group discussion. The combination of lecture, presentations, and discussion is a format that should prepare teens for the college environment. Age/Maturity Level: 13+ (mainly because of the content). We are going to read adult, college-level fiction. Some of the works we will read contain sexual themes and episodes of extreme violence. I feel strongly against having very young children present. I want the teens to feel that our discussions are a place where they can express the most difficult and controversial ideas openly. The course will include open conversations and visual material about the revolution, the Civil War, and the Stalin terror. Course Requirements and Workload: The amount of reading will be considerable – up to 150 pages per week. Students are expected to read the assigned works and to watch the assigned films in advance of each session and be prepared to discuss what they have read. In addition, students will read supplemental texts from various fields (essays, criticism, history, poetry, and philosophy); write short assignments for each class; and make one or two presentations. One analytical paper (3 to 5 pages long in the MLA format) is expected. As the class is discussion-based, students are expected to take an active part in all discussions. The teacher will be available for individual consultations through e-mail and phone calls. Estimated Cost: $289.00 per semester. There will be 15% discount for the siblings taking the class. Payment is due before the first session. Payment will be accepted through PayPal. Both credit card payments and cash transfers are accepted at PayPal.com. It is not necessary to have a PayPal account to pay with a credit card via PayPal.com. 90% of class fees are refundable if a student withdraws before the official start of the semester. 50% of class fees are refundable during the first two sessions of the semester. After the second session, no refunds are given for any reason. You may decide to buy the books we are going to read. Most of the books and films can be easily found in the public libraries or in used bookstores. Class 14: (April 21) Burned by the Sun by Nikita Mikhalkov; the first draft of the paper is due. Further recommendations can be found here.